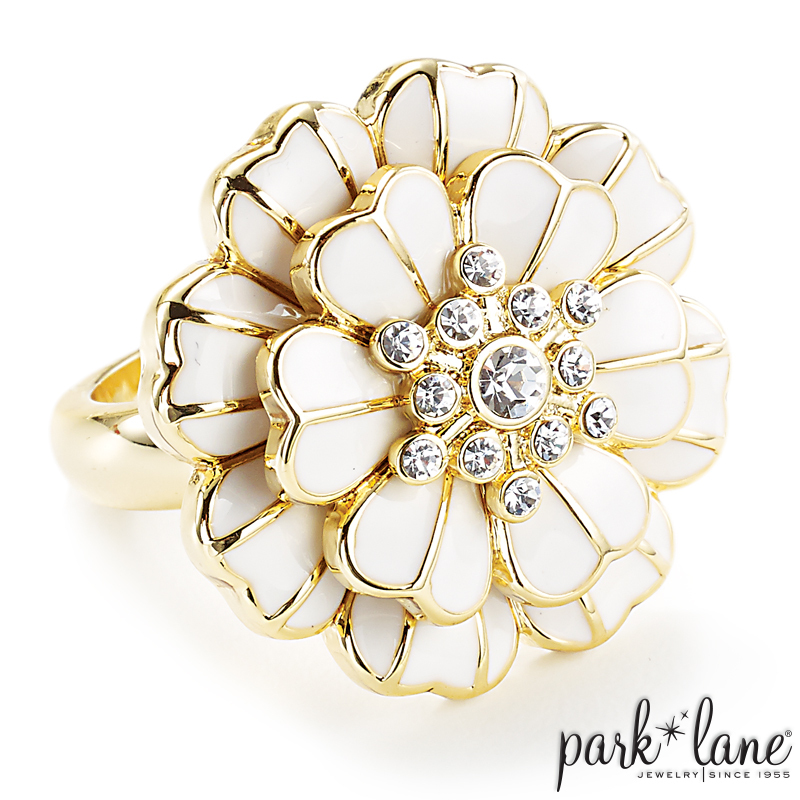 The petals of this stunning 3D ring are enameled in white and outlined in gold. A glittering cluster of Austrian crystals embraces the flower center. Sizes 5-10.